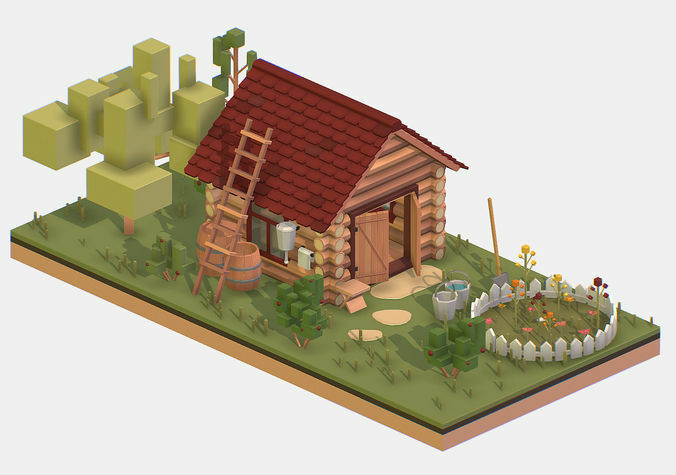 New isometric series of 3d models of high quality and elegant design. We are preparing a very large stylish series that will illustrate our daily life. Everything is limited by a single style and production technology - the docking modules will allow you to collect whole worlds. Optimized graphics: polygonality and very small textures 32x32 pixels per setting allow you to use models in both video production and in all known game engines. The convenient size and ease of use of the designer will allow you to collect whole worlds. Both indoors and outdoors - including whole cities or farms.